Now that spring has almost sprung (although it’s April, parts of Pennsylvania just got a bit of snow, and the west received a lot more) I thought this would be my last opportunity to share by guest blog post from SmallBusinessTrends.com. You see, it was inspired by this winter where Philadelphia (where I live) got more snow than Boston – it’s usually the other way around. 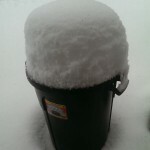 My Post: What I Learned About Small Business While Shoveling Snow – click the title to check it out. 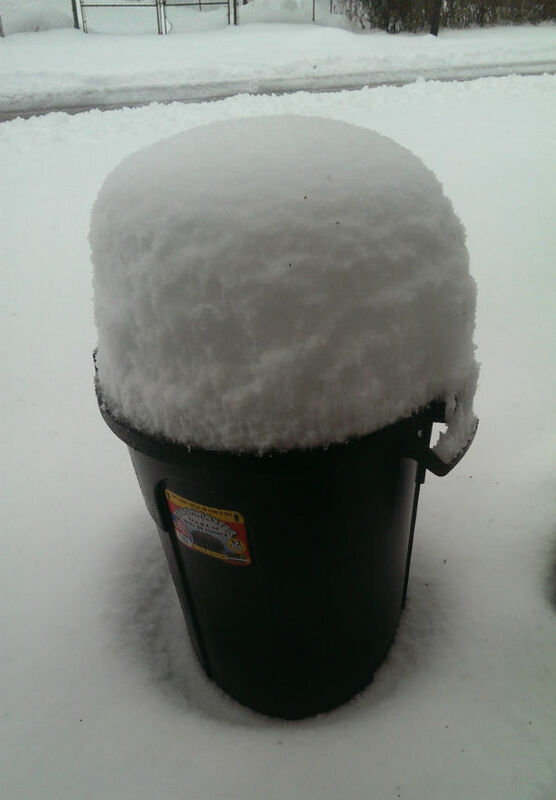 I took the photo of my trash can after about 8″ of snow was piled on top. I talk about stepping back from issues that arise in your small business and assessing them before diving in. Asking yourself if you should outsource something, or tackle it in-house. I talk about breaking projects into sections to make it psychologically easier to tackle and more – check it out. And if you are not aware of @SmallBizTrends – their site, and their Twitter account, are great resources for any business. Has life taught you a lesson that you can apply to your business? if so let me know in the comments.